FILLING: WATER, COCONUT CREAM, EVAPORATED CANE SYRUP, EXPELLER PRESSED OIL (SUNFLOWER AND/OR SAFFLOWER ), TAPIOCA MALTODEXTRIN, TOASTED COCONUT, STABILIZER (POTATO STARCH, GUAR GUM, CARRAGEENAN, CAROB BEAN GUM), LECITHIN (SUNFLOWER AND SOY), NATURAL FLAVORS, SEA SALT. COATING: COCONUT OIL, EVAPORATED CANE SYRUP, UNSWEETENED CHOCOLATE†, SOY LECITHIN, VANILLA. 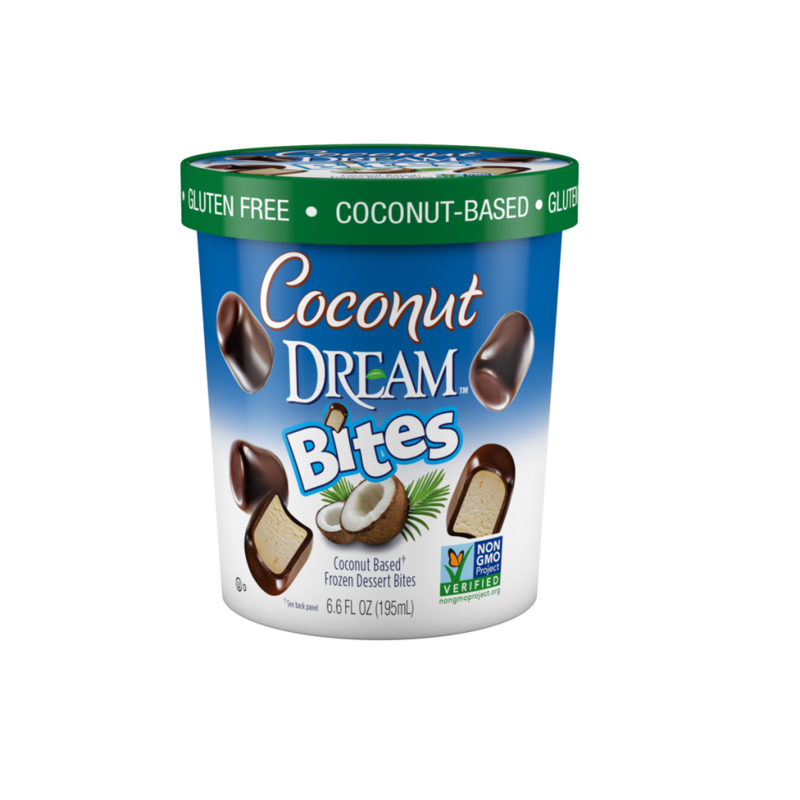 CONTAINS: SOY AND COCONUT. 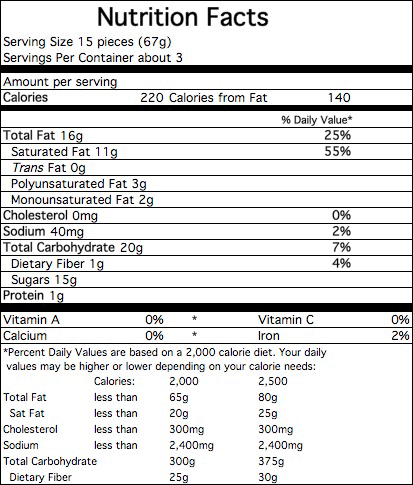 †UNSWEETENED CHOCOLATE CONTAINS MILK. NOT SUITABLE FOR MILK ALLERGIC INDIVIDUALS.